The organist and composer John Alcock was born just 300 years ago in Crane Court, St Peter’s Hill, London, on 11 April 1715, the third of the eight children of Daniel and Mary Alcock, who lived close to Saint Paul’s Cathedral. At the age of seven, Alcock was admitted as a chorister in Saint Paul’s under Charles King. He was 12 when he sang at the coronation of George II in 1727. Alcock left the cathedral when his voice broke two years later and he was formally apprenticed to the blind organist John Stanley. Alcock deputised for Stanley at Saint Andrew’s Church, Holborn, and from 1734 at the Temple Church. He married Margaret Beaumont (1711-1792) at All Hallows’ Church, London Wall, on 20 May 1737, and soon after they moved to Plymouth when he was appointed organist at Saint Andrew’s Church. In January 1742, Alcock moved to Saint Laurence’s Church, Reading. He played the organ at the politically charged opening of the Radcliffe Camera at Oxford in April 1749. He next moved to Lichfield where, on 22 January 1750, he was installed as a vicar-choral at the Cathedral and shortly afterwards was appointed Organist and Master of the Choristers. 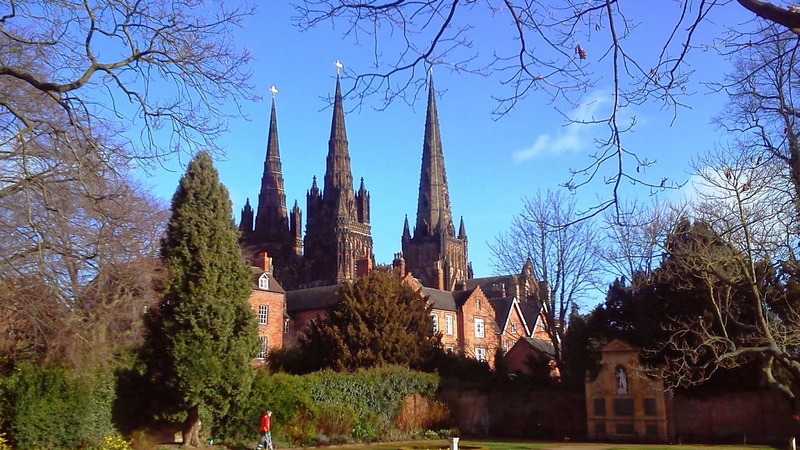 When he arrived in Lichfield, Alcock found the music in the cathedral was at a very low ebb. He came with great intentions to improve the quality of the musical performances. However, the other vicars choral saw him as a pedantic perfectionist, while he saw them as unruly choristers and self-interested vicars and accused them of gross absences. In Lichfield, Alcock was a Tory supporter, as shown in the poll books in the 1753, 1754, 1755, and 1761 elections. This may have added to his difficulties for there was strong support for the Whigs at the cathedral. He was dismissive of the state of the choir and the music in Lichfield Cathedral, and said so later in essays he wrote as prefaces to several volumes of church music and in a semi-autobiographical novel The Life of Miss Fanny Brown (1761), written under the pseudonym John Piper. By 1753, the situation between Alcock and the other vicars was so poor that it was mentioned in the Chapter Acts books. These differences came to a head in 1758 when the men of the choir asked the Dean and Chapter to admonish Alcock for his behaviour. They accused him of Splenetic Tricks upon the Organ to expose or confound the Performers, or burlesque their Manner of Singing. In the end, Alcock got the better of the men of the choir. He rescinded his position as Master of the Boys in August 1758. In 1760, he was formally admonished, and he duly resigned his post of cathedral organist and master of the choristers. 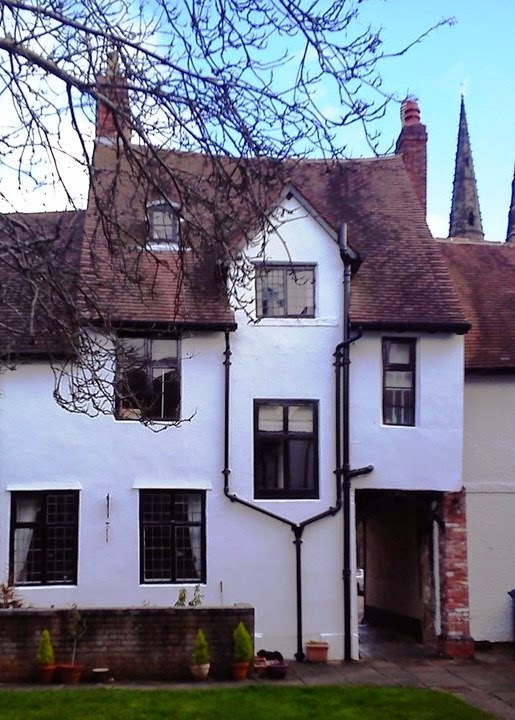 But he forfeited only £4 a year, and managed to hold on to his freehold position as a vicar-choral and to the house in the Cathedral Close that went with that appointment, No 11 Vicars’ Close in Lichfield. Meanwhile, despite these personal conflicts in Lichfield, Alcock gained the degree B.Mus degree at Oxford in June 1755, and later he would receive a doctorate in 1766. From 1761 to 1786, sometimes with the assistance of his sons, he served as the organist of Sutton Coldfield parish church, and from 1766 to 1790 he was the organist of Saint Editha’s Church, Tamworth, where the Comberford Chapel had been the burial place of the Comberford family for generations (Ed: This is the family of the author of the article). Around this time, Alcock found a wealthy patron in Arthur Chichester (1739-1799), 5th Earl and 1st Marquess of Donegall, who appointed him his private organist. In 1789, Lord Donegall inherited Fisherwick Manor, between Lichfield and Tamworth, along with vast Irish estates of more than a quarter of a million acres in Belfast, Antrim, Donegal and Wexford. In 1789, he bought the Manors of Comberford and Wigginton in Staffordshire, including lands in Hopwas and Coton. 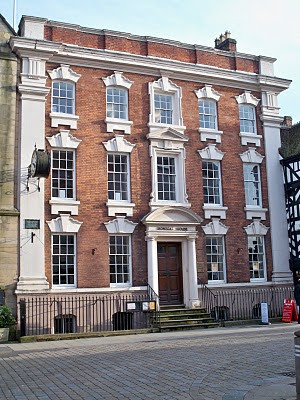 The Donegalls gave their name to Donegall House in Bore Street, Lichfield, and generations of the family were buried in a vault in Saint Michael’s Church, Lichfield. Alcock’s most important volume of church music is his Six and Twenty Select Anthems (1771). He was also an ardent antiquary and collector of manuscripts. In 1752 he proposed the quarterly publication in score of various services by great English composers, including Tallis, Byrd, and Gibbons. But when he learned that Maurice Greene was working on a similar project, Alcock generously handed over his own research to Greene. He wrote 72 original psalm tunes, a number of hymns and simple hymn anthems, and reharmonised 117 psalm tunes which were published in three collections. John Alcock suffered gout for much of his later years, but he continued living at 11 Vicars’ Close in Lichfield until his death. In his dying days, he reminded a friend that he was still the “Senior Vicar” and boasted of his roomy accommodation in the Close. Margaret Alcock died on 10 September 1792; John died in Lichfield on 23 February 1806 and was buried in the Cathedral. The eldest son, also John (1740-1791), was a chorister under his father at Lichfield Cathedral, where he learned to play the organ. By the age of 12 he was accomplished enough to deputise for his father occasionally. However, because he deputised so regularly for his father, the younger John Alcock was dismissed as a chorister in Lichfield Cathedral in 1755. From 1758 to 1768 he was the organist and master of the song school in Newark-on-Trent. 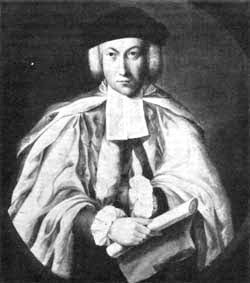 In 1766 he was in Oxford, where John Alcock the father received his doctorate, and John Alcock the son received his B.Mus degree. From 1773 until his death in March 1791 he was the organist of St Matthew's Church in Walsall. His youngest brother, William (1756-1833), was the organist in Newcastle under Lyme. After his death, John Alcock’s memory and music were soon forgotten. But a considerable range of his service music remains in manuscript form in Lichfield Cathedral. This paper is published in ‘Friends of Lichfield Cathedral, Seventy Ninth Annual Report 2016’ (editor, David Wallington), pp 28-31.